Will the bubble burst in 2018? The talk of a “bubble” in the bond market roared during the final months of 2012 but little had changed two years later. The same has happened again in 2017 and 2018. This might leave investors wondering just what a bubble is and what the basis is for such claims. What does a bursting bubble may mean for your portfolio? A bubble is simply an asset that trades far above its true worth for an extended period of time. The run-up in prices is typically fueled by rampant investor greed and the widespread belief that no matter how high prices might be now, someone else is likely to pay an even higher price in the near future. Eventually, bubbles end. The price of the asset will decline to a more realistic value and this can lead to heavy losses for investors who were late to the party. There have been numerous bubbles throughout history: the Dutch tulip bulb mania in the 1630s, the shares of the South Sea Company in Great Britain in 1720, railroad stocks in the United States in the 1840s, the U.S. stock market run-up in the Roaring Twenties, and Japanese stocks and real estate in the 1980s. More recently, the United States experienced bubbles in technology stocks in 2000 and 2001 and in real estate in the mid-2000s. All ended in a crash in the price of each asset question, and—for larger bubbles such as those in Japan in the 80s and in the United States in the past decade—a protracted period of economic weakness. Pundits have made their careers by publicly calling major market tops. There’s plenty of incentive to scream “Bubble!” and enjoy the media coverage that follows. But don’t believe everything you hear. 2018 is a good example. Word began spreading in March that the bull market in bond prices was about to come to a screeching halt. Yields had spiked at just shy of 3 percent at the beginning of the year. A burst was imminent. Two months later, in May, the bubble was still intact, at least with regard to the corporate bonds that were pretty much the focal point of all this talk. But that particular bond bubble had been intact and hanging in there since 1981. Meanwhile, the risk-free 10-year treasury bond had increased by 172 basis points since July 2016. Fast forward two more months to July 2018. The talk hadn't changed. It was just getting old. Pundits continue to prophesize that the bull market is experiencing death throes, again focusing on corporate bonds. Why Would the Bond Market Be in a Bubble? The U.S. bond market has continued to be forecast as the next great asset bubble since 2013, at least if you believe what you read in the financial media. The thesis behind this is relatively simple: U.S. Treasury yields dropped so low in 2010 or so that there's been little latitude for further decline. Keep in mind that prices and yields move in opposite directions. What’s more, a key reason that yields were so low was the policy of the ultra-low short-term interest rates the Federal Reserve enacted to stimulate growth. Whenever the economy recovers and employment rises to more normalized levels, the Fed begins to raise rates. The artificial downward pressure on Treasury yields is removed when this occurs and yields rise sharply as prices fall. In this sense, it could be said that Treasuries are indeed in a bubble—not necessarily because of a mania as was the case in past bubbles, but because yields in the marketplace are higher than they would be without the Fed’s aggressive action. Does This Mean the Bubble Will Burst? The conventional wisdom is that it’s almost certain that Treasury yields will be higher in the future than they are today. That's indeed the most likely scenario, but investors should give careful consideration to two factors. First, the increase in yields—if it occurs—is likely to occur over an extended period of time. It most likely won't occur in short, explosive movements such as the bursting of the dot.com bubble. Second, the history of Japan's bond market can provide some pause for the many pundits who have a negative outlook on U.S. Treasuries. A look at Japan shows a similar story to what occurred here in the United States several years ago: a financial crisis brought about by a crash in the property market, followed by an extended period of slow growth and a central bank policy featuring near-zero interest rates and subsequent quantitative easing. The 10-year bond yield dropped below 2 percent. Japan experienced these events in the 1990s. The drop in Japan's 10-year below 2 percent occurred in late 1997 and it hasn’t regained this level for more than a brief interval since then. "Increased bond buying by insurance companies and private-sector defined-benefit plans could also temper the pace at which bond yields rise." In other words, higher yield would drive renewed demand for bonds, moderating the impact of any sell-off." Could the U.S. bond market eventually collapse as many are predicting? Perhaps. But the post-crisis experience in Japan, which has been very similar to ours thus far, indicates that rates can remain low far longer than investors are expecting. A look further back shows that the downside in Treasuries has been relatively limited. According to data compiled by Aswath Damodaran at New York University’s Stern School of Business, the 30-year bond has suffered a negative return in only 15 calendar years since 1928. In general, the losses were relatively limited. Keep in mind, however, that yields were higher in the past than they have been recently so it took much more of a price decline to offset the yield in the past than it would today. While past performance isn’t an indicator of future results, it does help illustrate the rarity of a major collapse in the bond market. If the bond market does indeed fall upon hard times, a more likely outcome is that we’ll see consecutive years of sub-par performance, such as what occurred in the 1950s. What About the Non-Treasury Segments of the Market? Treasuries aren’t the only market segment said to be in a bubble. As noted, similar claims have been made about corporate and high yield bonds, which are valued based on their yield spread relative to Treasuries. Not only have these spreads shrunk to historically low levels in response to investors’ growing appetite for risk, but the ultra-low yields on Treasuries mean that the absolute yields in these sectors have fallen close to all-time lows. In all cases, the case for the “bubble” concerns is the same: Cash poured into these asset classes amid investors’ ongoing thirst for yield tends to drive prices to unreasonably high levels. Does this indicate bubble conditions? Not necessarily. While it certainly indicates that the future returns of these asset classes are likely to be less robust in coming years, the odds of a major sell-off in any given calendar year is relatively low if history is any indication. High yield bonds produced negative returns in only four years since 1980, as gauged by the JP Morgan High Yield Index. Although one of these downturns was huge—a 27 percent drop during the 2008 financial crisis—the others were relatively modest: -6 percent in 1990, -2 percent in 1994, and -6 percent in 2000. The Barclays Aggregate U.S. 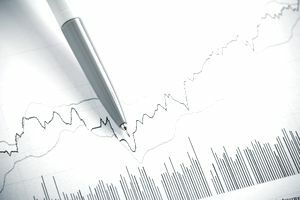 Bond Index incorporates Treasuries, corporates, and other investment-grade U.S. bonds. It has gained ground in 32 of a period of the past 38 years. The one down year was 1994 when it shed 2.92 percent. Although they can be frightening at the time, these downturns have historically proved manageable for long-term investors. It usually isn't long before the markets rebound and investors are able to recover their losses. What Should You Do About a Bond Market Bubble? In almost every situation, the wisest choice in investing is to stay the course as long as your investments continue to meet your risk tolerance and long-term objectives. If you invested in bonds for diversification, stability, or to boost your portfolio’s income, they can continue to serve this role even if the market encounters some turbulence. A wiser choice might be to temper your return expectations after a strong run of years. Rather than expecting a continuation of the stellar returns the market experienced during other intervals, investors would be wise to plan for much more modest results going forward. The main exception to this would be someone who is in or near retirement or who needs to use the money within a one- to two-year period. It doesn’t pay to take undue risk no matter what conditions are in the broader market when an investor needs to use the money soon. Disclaimer: The information on this site is provided for discussion purposes only, and should not be construed as investment advice. Under no circumstances does this information represent a recommendation to buy or sell securities. Be sure to consult investment and tax professionals before you invest.